DNS Associates has been providing award winning accountant, tax planning, and consulting services since we started in 2005. Since inception, we have been able to grow substantially by servicing thousands of clients across the UK. Being able to provide contractor accountants in Bristol, Long Ashton, Kingswood, Bath and others, we have been able to create a respectable name for ourselves in the country. Our contractor accountants in Bristol are efficient, hard-working and most of all provide the best service to our respected clients. DNS Associates provides full range accountancy services including online facilities to contractors and IT contractors for any business related issue. DNS Associates ensures not only premium services to our clients but also protects your business from random HMRC investigation, which can spell much trouble for your smooth going business. All partners and employees at DNS Associates are highly qualified and are professional members of CIMA, ICPA, FCSA, etc. We, at DNS Associates, maintain a motto that clients financial well being are above everything else for us. This motivates us to help you save taxes by following all the set regulations so that you do not face any hassles in the future. Bristol is the sixth largest city in England and one of the most populous city in the United Kingdom. It is a major seaport in England and has a long history of trading commodities. It is the most populous city in Southern England after London. The financial services sector in Bristol employs about 59,000 in the city, and silicon design companies employ about 5,000, which includes Hewlett-Packard National Research Laboratories. It also has manufacturing units for the Bristol Aeroplane Company. Aerospace research is also a prominent research area at the University of the West of England. Bristol has a large number of businesses set up in the city in all the sectors of the economy. Starting from Advertising and Marketing sector, it has Energy and Resource companies, Food processing companies, Computer Hardware and Software companies that drive the local economy. With the expanding population, the Real Estate sector is also coming up steadily. As Bristol receives about 9 million visitors a year, the Travel and Leisure sector has also shown huge growth to keep up with the number of tourists that arrive in the city. With such rapidly expanding business scene, Bristol has an urgent need for accountancy professionals to help the business owners manage their accounts more efficiently. AT DNS Associates, we have Chartered Accounts, Tax Accountants, Forensic Accountants and Contractor Accountants who provide our clients with the best possible service on request. Our expert accountants are always there to help the clients handle all tax related matters with ease and let them concentrate on expanding their businesses only. In Bristol, any company would be able to find expert contractor chartered accountants through DNS, who would work exclusively on a given project with them. They provide consultancy services to the clients in corporate finance and other fields. With the skill, our experts possess, you would be able to get specialized services with dedication and accuracy. Our accountants become trusted advisors for the clients and add immense value to their business. 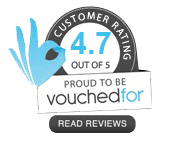 They provide and produce the best results and reports in the entire industry that would leave our clients coming back irrespective of whichever sector they are working in. Our tax advisors provide a multitude of services and solutions that are tailor-made for the needs of specific clients. At DNS, we believe that all businesses are the same; be it small or big. We also provide contractor tax accountants for small businesses to help them grow further and lead them to their success. 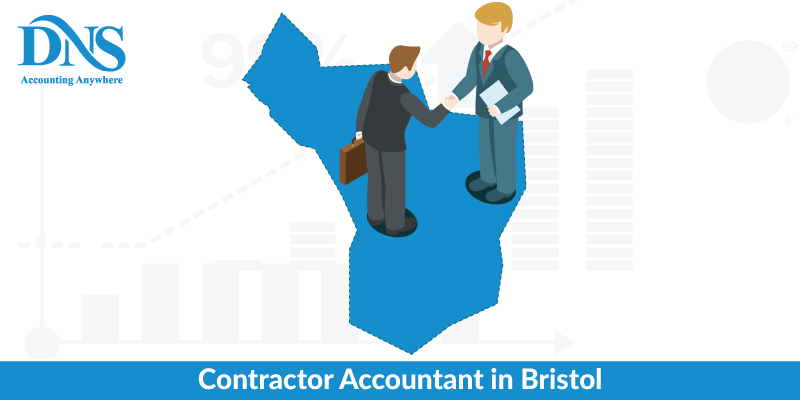 Providing best service to our clients and the most accurate reports, we ensure that even small businesses find an expert contractor accountants in Bristol for their needs. At DNS, we are dedicated to ensuring that our clients have a smooth running business without having to worry about the financial aspects of it. We have some of the best contractor accountants in Bristol and Long Ashton, Kingswood, Mangotsfield, Stoke Gifford, Keynsham, Bath and other areas across the UK. Our accountants are focused on the job provided to them, and they complete it flawlessly and at very competitive rates. Our main focus is to provide financial accounting services in every sector of the economy and help the businesses thrive. For the best contractor chartered accountants for business owners in Bristol, you can always turn to DNS.